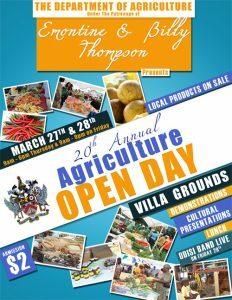 Come out and support the Department of Agriculture’s Open Day. Revelry! Splendor! Creativity! It’s Culturama 40! Mr. Tyrone O’Flaherty better known in the calypso circles as Bahowlah the Meek and more recently as Sack Cloth and Ashes was born in New Castle Village, St. James’ Parish Nevis on November 16th 1952. He received his early education at the Combermere Primary School, then the Charlestown Secondary School and later at the Basseterre Senior High School. After leaving school Tyrone took up a career in teaching at the Basseterre Senior High School for a short period before being transferred to the Charlestown Secondary School where he taught French and Spanish until 1972 when he left for Barbados to pursue studies at the Universality of the West Indies where he successfully read for a Bachelor of Arts degree in French and Spanish. Tyrone returned to Nevis in 1975 and resumed his post at the Charlestown Secondary School but migrated to Montserrat in 1976 to continue his teaching career at the Montserrat Secondary School. In 1980 he returned to the Federation and worked at Caribbean Shoe Manufactures St. Kitts and later at Tropical Shipping as Island Manager for St. Kitts and Nevis. In 1997 Tyrone returned to Nevis and was employed as Manager at the Nevis Housing and Land Development Corporation. In 1998 he was transferred to the Ministry of Communications and Works as Permanent Secretary and worked in that position until 2000. From 2000 to 2006, he served as Permanent Secretary in the Ministry of Culture as well as Chairman of the Nevis Culturama Committee. From an early age Tyrone developed a passion for drama and poetry. While attending the Charlestown Secondary School he wrote a short skit that was dramatized during one of the school’s concert. He joined the Nevis Dramatic and Cultural Society (NEDACS) in 1973. The following year he acted in the first Culturama dramatic presentation entitled “The Tout” and played the part of Old Mulley. Tyrone became a regular actor for NEDACS in subsequent years by which time he had become one of NEDACS leading stage personalities. He has published several poems in many of the early Culturama booklets, including the first booklet in 1974 using the African inspired nom de plume Kisumi Chikulu. Tyrone recalls that when he was about 12 years old he developed a liking for the calypso art form. He was inspired by the likes of the Mighty Sparrow and the late Lord Melody. He remembers having a book in which he would write the lyrics of the popular songs of the day and learn them all. He still remembers the lyrics to some of the popular calypsos of long ago. 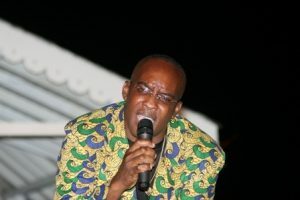 When he was in fourth form, Tyrone made his first appearance on stage as a calypsonian, singing under the name of Lord Magnus during a concert that was put on by the school to raise funds to send a cricket team to St. Kitts. Tyrone entered the first ever Culturama Calypso Competition as Bahowlah the Meek in 1974 and placed first runner up. He was also first runner up in 1975 and 1977. He was twice crowned Culturama Calypso King in 1976 and 1978. In 1978 he was credited for his invention of the Cadre beat, the only modern indigenous Nevisian beat which pulsated throughout his hit song ‘Culturama Fever’. Some of his other hit tunes include ‘Cultural Extinction’, ‘Cadre Take Over Now’ and ‘Party Ting’. The jingle that was used to promote Culturama 2002 was composed and performed by Tyrone himself and still remains one of the top jingles to have been produced for Culturama. He prides himself on being an accomplished guitarist as he would first pick up his guitar and create a melody to which he would later fit the lyrics of a calypso. He has penned many calypsos for local Nevisian calypsonians. Presently, he is working on a compact disc recording which will have a rich blend of cadre, soca and witty calypsos. BTM, as he is now popularly known by many, has been an outstanding MC, thrilling many audiences with his carefully crafted witty rhymes and riddles at Culturama shows such as the Ms Culture Queen Pageant and Senior Kaiso Contest. Let us salute Mr. Tyrone O’Flaherty, aka Bahowlah the Meek, Sack Cloth and Ashes, Oghorm, Esteemed Patron of Culturama 40! String Bands, Big Drum Bands, Steel Bands, Masquerades, Clowns, Cake Walk, Quadrille, Moko Jumbies, Folklore in Galore! A potpourri of colorful costumes, indigenous music, oral traditions, intricate dance movements, street and stage theatre, traditional cuisine, traversing the cultural landscape of ‘Queen City’, Nevis, known to the Carib people as Oualie. This is how Nevis’ premier cultural festival – Culturama – was conceived and designed in 1974 by the Nevis Dramatic and Cultural Society (NEDACS). Culturama was born out of a dire need to preserve and promote the island’s rich cultural traditions, many of which were threatened with extinction following the mass migration of its best practitioners to North America, Europe and the Virgin Islands since the 1950s. It was also part of a new cultural renaissance overtaking the Caribbean at the time, which had seen the rise of the Black Power Movement and the birth of the Caribbean Festival of Arts (CARIFESTA) in the late 1960s and early 1970s. Nevisians at home and abroad are proud of this unique cultural festival and are always quick to demonstrate, through words and deeds, the distinction between Nevis Culturama and the carnival celebrations in other Caribbean destinations. Throughout the life of the festival, a concerted effort has been made by the government, organizers and people to ensure that the integrity of the festival is not compromised. Queen pageants, kaiso contests, freedom concerts and other contemporary shows have been specifically designed and appropriately fused into the program in keeping with the goals and objectives of the festival. Programs aimed at the preservation and revival of the island’s traditional forms have been implemented in the schools and communities of Nevis. These programs, quite naturally, culminate annually with the staging of Culturama on the Emancipation Day weekend in late July/early August. It has now become the norm for Kittitians, returning nationals and visitors from the Caribbean, North America and Europe to flock to the shores of Nevis in droves for the 12-day Culturama festival experience. This year 2014 we will celebrate 40 years of Nevis’ Culturama, which is undoubtedly the Caribbean’s Greatest Summer Lime and we will also celebrate Nevis’ first ever Home Coming Celebration when we will extend an invitation to Nevisians within the Diaspora to come home and be reunited with friends and family. 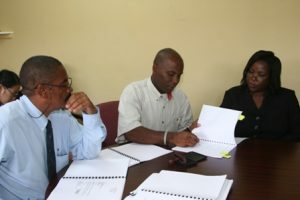 CHARLESTOWN NEVIS (June 21, 2010) — The contract for a second project under the Basic Needs Trust Fund (BNTF) this month, was signed between the Nevis Island Administration and Contractor Beyond Homes, at the Fund’s local office on Government Road on Friday. Following the 2008 Culturama Calypso semi-finals on Saturday July 26 which involved 13 calypsonians, the Culturama committee revealed on July 28, 2008, the names of seven who would vie for the senior monarch title against reigning king Dis N Dat.